WASHINGTON, December 23. /TASS/. 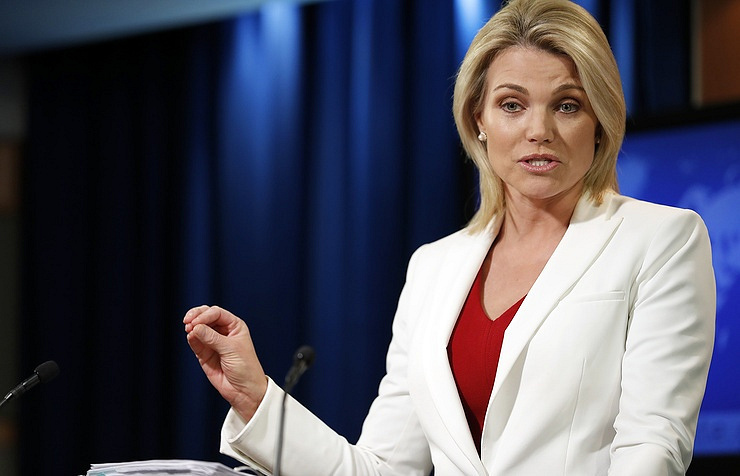 The U.S. Administration has taken a decision to supply advanced defensive systems to Ukraine as part of Washington’s efforts to build up the long-term defense capability of the Ukrainian government, the Department of State spokesperson Heather Nauert said on Friday. "The United States has decided to provide Ukraine enhanced defensive capabilities as part of our effort to help Ukraine build its long-term defense capacity, to defend its sovereignty and territorial integrity, and to deter further aggression," Nauert said. "U.S. assistance is entirely defensive in nature, and as we have always said, Ukraine is a sovereign country and has a right to defend itself," she claimed. "The United States remains committed to the Minsk agreements as the way forward in eastern Ukraine." U.S. Congressmen and Senators, republicans and democrats likewise, have persistently voted in recent years for inclusion of articles on lethal military aid to Ukraine in the U.S. defense budgets. In the light of it, the lawmakers will most likely have no objections to Trump’s latest defense initiative regarding Ukraine.